We don’t buy all that many crisps in our house, as I’ve made a conscious effort to cut back in recent years. But on those occasions when I am in the mood for a salty potato snack, I will be reaching for a lovely big bag of Mr Trotter’s Proper Potato Crisps. Thickly cut and incredibly moreish, they are fried with the skin on and taste almost meaty, although they are suitable for vegetarians. I guess that comes from the yeast extract, listed as one of the ingredients in Mr Trotter’s ‘original seasoning’. My children loved them too but I reckon they are too good for little ones, and next time I’ll wait until they’re in bed before opening another packet. 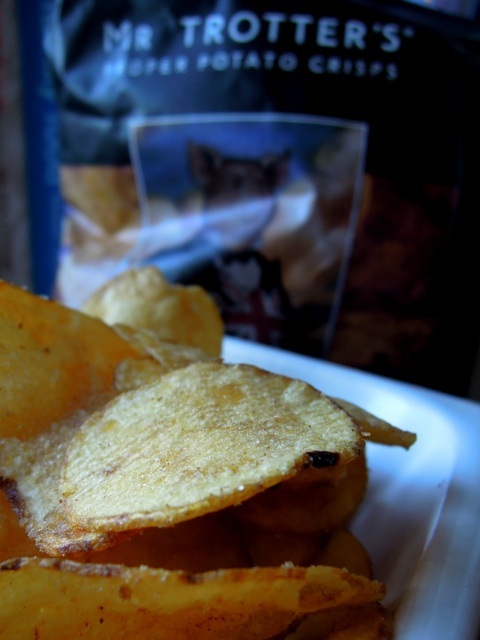 You’ll find Mr Trotter’s range of crisps and pork crackling in Selfridges, Harvey Nichols, Fortnum & Masons, Chatsworth House and a growing number of pubs, farm shops, delis and garden centres. You can also buy them in bulk online. 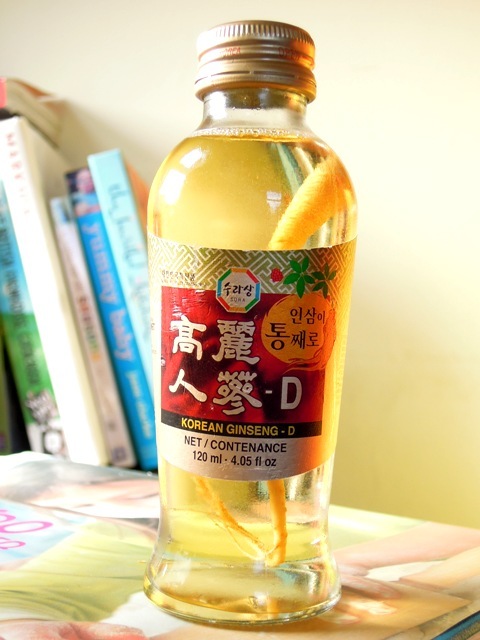 This Korean ginseng drink arrived in a recent food box from Kitchen Nomad celebrating Korean cuisine. This was one of my favourite products in the box, along with a jar of delicious Kimchi, a traditional fermented vegetable side dish. I haven’t actually tried drinking ginseng since I was a child and I recall being rather unimpressed back then. This time I wasn’t sure at first. It smelled a little like boiled parsnip. But when you get past that, it tastes ever so good. Sweet and honey-like, almost like a non-alcoholic mead. What’s more, ginseng is apparently very good for you and a brilliant energiser. Available from Tradewinds Oriental Shop and all good oriental supermarkets. 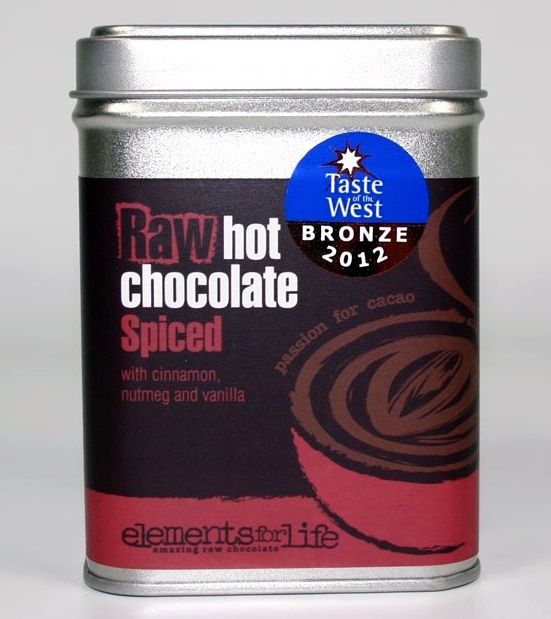 This spiced hot chocolate from Elements for Life is quite simply divine. Featuring cinnamon, nutmeg and vanilla, it gives just the right hit of spices without overpowering the luxuriously creamy chocolate. I make mine with warm milk but the chaps at Elements for Life recommend using oat milk for the ultimate thick and creamy hot chocolate. And since it contains low GI/GL coconut palm sugar, it is also ideal for diabetics due to the slow release of energy from the sugar, unlike most hot chocolates that contain refined cane sugar. Admittedly it’s not cheap, coming in at £6.75 for a 175g tins but I reckon it’s worth it for an occasional treat. Elements for Life products are available from a growing number of health food shops, farmers markets and delis across the country (see the list online) and you can also order direct from their website. 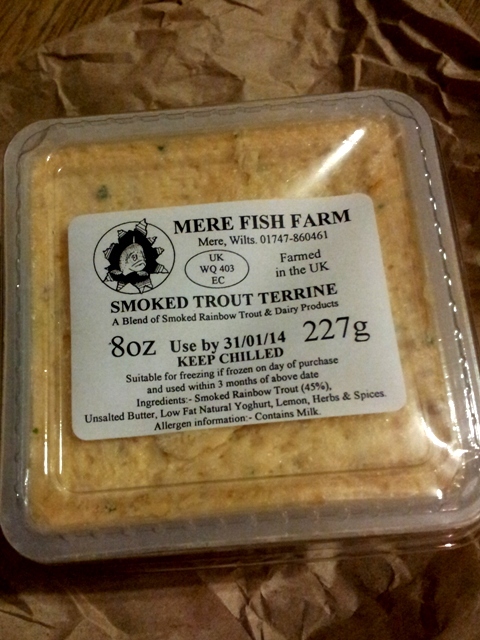 This delicious smoked trout terrine is one of the specialties of Mere Fish Farm in Wiltshire, and I think I might be addicted to it. I bought it last week from their stall at Wells Market and had it with a jacket potato that evening for supper, and I simply couldn’t get enough of it. All the next day I kept eating more of it on hot buttered toast, and my daughter Jessie insisted of having some in a roll for her school packed lunch. Honestly, it’s just too good for words. The terrine is mixed to Mere Fish Farm’s own special recipe, using trimmings from their cold smoked trout, unsalted butter, low fat natural yogurt, lemon juice, fresh herbs and spices. It tastes rich and indulgent without being at all heavy. If you are based in the West Country, or visiting this part of the world anytime soon, I thoroughly recommend you try to get hold of some. For details of stockists, visit their website. I’ll be back to their stall next week, I think, to sample more of their products and, of course, to pick up some more of this terrine. 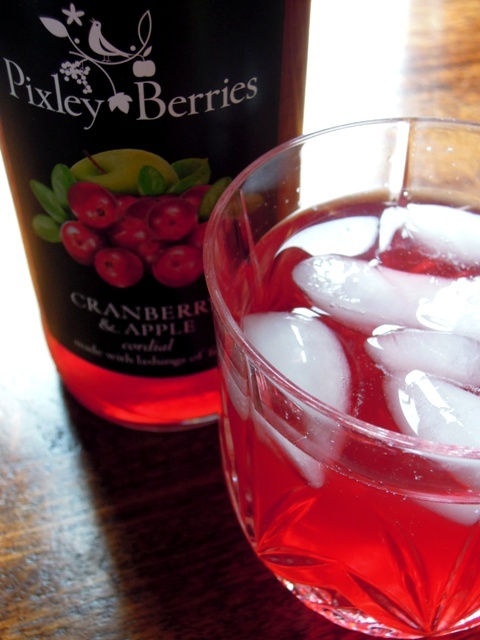 This gorgeous cranberry and apple cordial from Pixley Berries is as good to drink as it looks. It boasts more than 60% fruit, none of which come from concentrates, and not a single artificial ingredient either. It’s a wonderfully refreshing cordial, soft and sweet yet with a marvellous twang from the cranberry. My children loved it too, but while they liked drinking theirs with chilled water, their Daddy and I rather liked ours poured over iced vodka once they were safely tucked up in bed. You can find Pixley Berries range of cordials at Waitrose, Ocado and other independent retailers – full details on their website. This rooibos tea from London-based Yumchaa is the perfect cuppa when you need a bit of a pick-me-up. 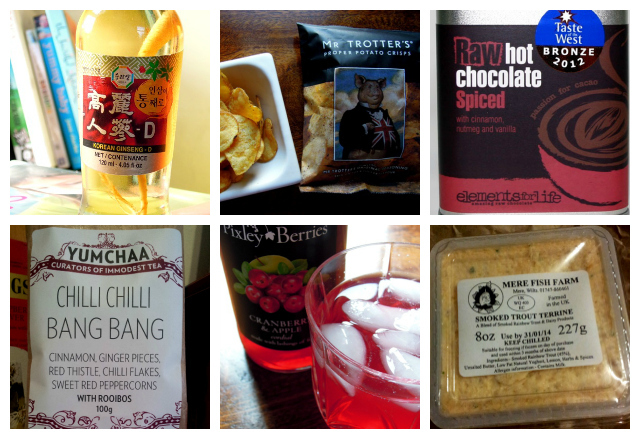 Caffeine-free, Chilli Chilli Bang Bang not only has a fantastic name but delivers a fantastic punch of flavour from cinnamon, ginger, red thistle, sweet red pepper corns, and chilli flakes. It isn’t a fiery brew but it does deliver packs of taste, yet manages to be a lovely soothing tea at the same time. You can pick up a bag of this, or any of Yumchaa’s fine teas and tisanes, from one of their London shops or market stalls. Full details on their website. Disclosure: I was sent complimentary samples of Mr Trotter’s Proper Potato Crisps and Pixley Berries Cranberry and Apple Cordial for review purposes. No money exchanged hands and all opinions expressed are my own. Some lovely products Vanesther and a fab round up! 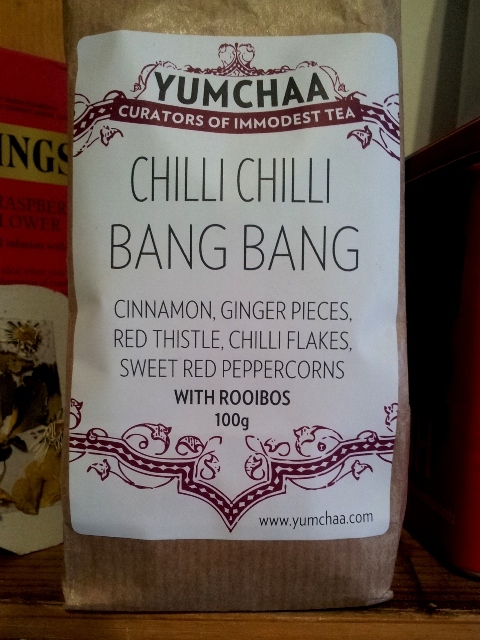 Loving the sound of the Chilli Chilli Bang Bang, shall look out for along with the Raw Hot Choc Spiced Mix.